Another perplexing day, another perplexing week. Fair warning: I’m dipping my author’s toe into politics (publicly) once more. I had worried about the new US president’s fascistic tendencies for quite a while before his illegal executive order, but given the extent of vetting refugees already submit to, this week’s surprise strikes me as not only cruel, but given reports of detentions, a violation of due process. 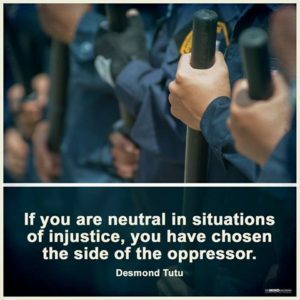 So I can’t be neutral. Due process is the bedrock for democracy, so I can’t agree with an oppressor who is explicitly encoding discrimination against one particular religion. But also, only in cases where it wouldn’t harm his business interests. I can’t say whether registering my resistance will be a one-off; if something as egregious comes up again, I will stand up again. All of which makes for significant distraction from what I had planned to be doing this week and weekend: Continuing research on North Korea for my third Red Slaves book. I did find an interesting, old article about N. Korea’s bid to handle toxic wastes of various kinds. It plays into my storyline nicely, even if the dateline is from 2008. And hubs has been working at his own brand of distraction. We’ve agreed that staying focused on things we can directly impact in our own lives is important. As is finding shared laughter. To that end, he’s been looking up comedians on Netflix, YouTube, and wherever else he can find them to remind us of how to laugh. One of the funniest so far has been Sebastian Maniscalco. His embodiment of Sicilian/Italian-Americanisms in his routines makes both of us giggle. We watched “Aren’t You Embarrassed?” as our date night this week, and laughed even harder when Maniscalco started describing some of the differences between himself and his wife. There were a few parallels. Another link from hubs was to a PBS program about Emery Blagdon and his Healing Machine. As much as anything, this seems to point (to me) to the power inherent in a strong connection with another person. I’m connected, now, to two people who are facing entirely different medical crises, and am hopeful that being there for them as they face the labyrinthine medical establishment will provide the kind of healing relief Blagdon’s visitors described. Also tickling my brain: News of a new form of matter, being called time crystals. This discovery could be yet another plotbunny–and could change the nature of time travel scifi, should an author choose to embrace it. As for goals, my phone says I took it with me for an average distance of a little over a mile each day this week. After a specialist ordered extra tests on Natasha, we came back with a diagnosis of Lyme from titering. Apparently that disease has a high incidence of false negative reporting, so the test our regular vet had used when we’d first gone there after noting the limping was wrong. That means our oldest husky will be on doxycycline for three weeks, and we’re anxiously awaiting some indication that her gait is smoothing out. She seems looser in the hocks, but after exercising, she stiffens up again, so this could take some time. On the writing front, I finally finished incorporating the years-old feedback from the writing workshop I participated in in 2015. And finally started drafting new words. With everything else, it is slower going than I’d like, but 1,406 new words isn’t bad. If I can’t manage at least that on a daily basis from now until my deadline, though… my deadline will make a lovely whooshing noise as it flies by. We’ll see. In the meantime, Gayla has released Convicted Heart (for those of you who are interested in contemporary romances) as well as a short story in the Discord Jones world called “Little Star.” Both are lovely ways to escape reality for a bit. So I’ll be back again next week with news and updates, and once again encouraging you to see how my ROW80 cohorts are doing.